What can we expect from Florida in 2007. What are significant things that are gonna take place in Miami, Orlando, Tampa, Jacksonville. One thing, and that is GROWTH, AND SPRAWLLLLLL!! so far, nothing breakground in downtown Orlando since 2007. - Orlando get a proffesional indoor soccer team named Orlando Sharks. - 2 buildings is gaining momentum and 2 more will possibly breakground this year (downtown only). 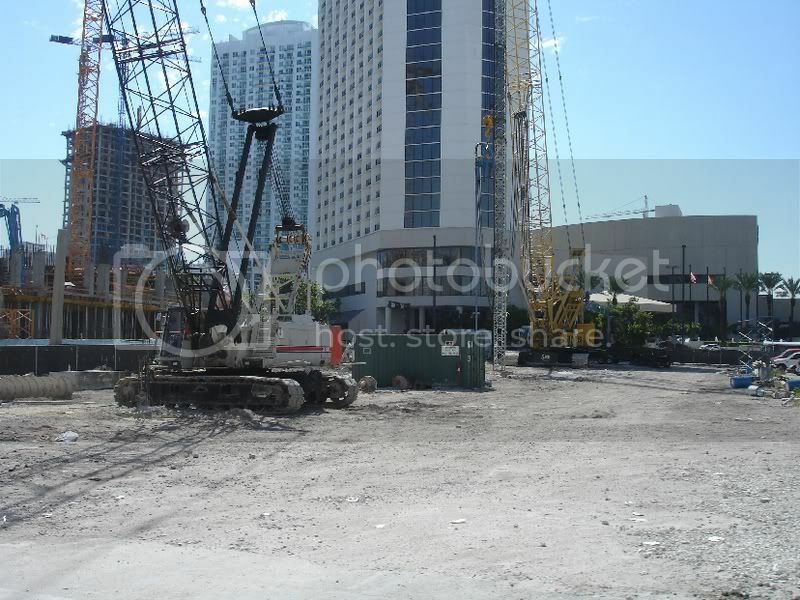 - construstions of hotel going like crazy in Idrive area. - Ikea finally brokeground and open in fall 2007. - 6 highrises are under construction in downtown. - The new arena, citrus bowl and PAC projects are still under negotiation and should be wraping up this year. Design supposed to be done by this year and construction starts 2008. - 2007 is 2 more years for our first commuter rail to start running. - Orlando Magic is still trying to go into NBA playoff. Location: Miami & Orlando, FL. Miami is impressive. It's funny though, according to Colliers, by comparison, Atlanta metro (similar size but smaller) has TWICE the industrial space that Miami 3-County has. I had no idea about the disparity. But, it's skyscraper numbers are way more than Atlanta's, except that ATL has more taller office bldgs. most of Miami's talls are residential except for a handful of tall offices. My take is that more offices will come; it's an evolution. 500 BRICKELL / PARAMOUNT @ EDGEWATER / status unknown. is that the Met 2 w/ Marriott Marquis? 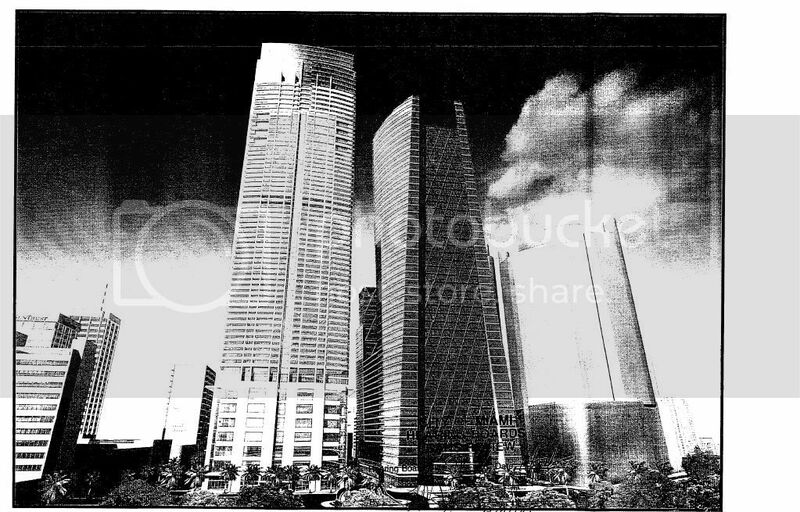 they were at this stage of construction on Trump's Tampa tower and on Eola Place and the result was nothing. I can appreciate site clearing, but... BTW, what's U/C to the left, Dupont, or part of the Met 1 complex? Also, one of the websites is still taking contracts for preconstruction on the Icon towers, is it outdated info that hasn't been updated? The reason I ask is b/c isn't Icon the Miami Circle project? To me, it's a very important project to frame the mouth of the Miami River w/ One Miami directly across the way; it would create a stunning gateway en route to Neo Vertika and Latitude and Wind and the like. same with Capital at Brickell. Is Infinity really U/C? Plus, which Paramount is U/C? Paramount Bay is mentioned on a thread at SSC. ^ the pic is looking southeast....yes that is the Marriot and the building under construction is across the river. 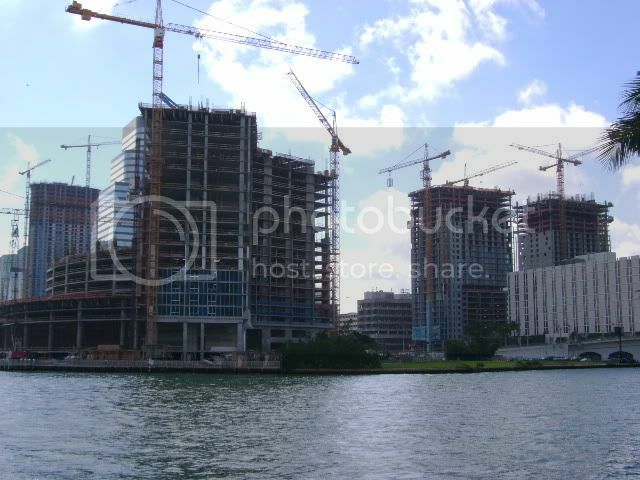 That is Brickell on the River 2. Not seen in the pic is EPIC which is where the Dupont Hotel used to be to the left. Infinity is U/C as well as ICON. What part exactly is that cluster of Plaza, Icon, and 500. is that near the miami river or more south into brickell.